Ayanduro Oluwaleke John, popularly and fondly called SnowJay, is a contemporary Christian singer-songwriter, psalmist and spirit led soulful minister who is ready to impact the world with God’s message of hope, peace and salvation through his music. 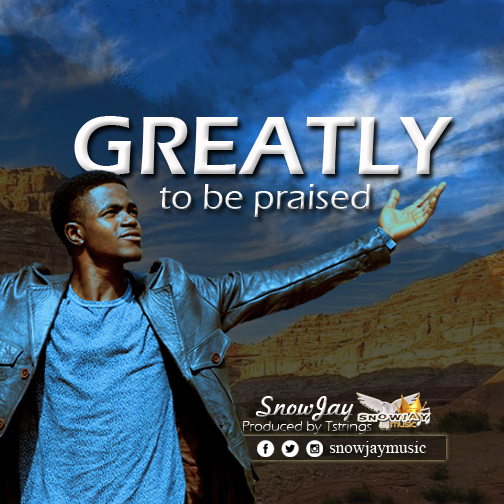 He makes a debut appearance with “Greatly to be praised”. The song relates to our present needs and brings us to a realization that God can turn all things around. A graduate of University of Ilorin who has always been a lover of music even from a young age when asked of what he does said, ” I sing of the Greatness, Awesomeness, Faithfulness and Goodness of the Almighty and for the blessedness of humanity.” His early worship influence had majorly been Don Moen who inspires him to sing and compose.